Use this section to find out (quite a bit) about the BSA Program, and the degree to which Troop 585 embraces the way it "aught to be". The Boy Scout Of America Program is a 103 year old, professionally crafted, program of education and character development. By using the "Outdoor Method" (camping, fishing, rock climbing, etc) boys work together to "do the things boys like to do". In the process, they learn the value of teamwork, honesty, communication, mutual respect, and more as they work towards their goal and overcome any obstacles they encounter. Most boys get to do things and go places they would have never had the opportunity to do if not for being involved in Scouting. Ever spend 2 days hiking the Trail and a two days Canoeing on the Meramec River? Ever rappel down a 40' climbing tower? Ever spend 5 days canoeing down the Current River? Ever try shooting rifles, shot guns, and bow & arrows? Ever try biking 50+ miles at a time along the Katy Trail? Ever try fishing? How about fly-fishing? Ever cook over an open fire? Ever spend the night in a tent? How about an "emergency shelter" you created in the woods? Ever see the stars from parts of Missouri where there's no "light pollution"?... a sky so clear you can see the Milky Way? Ever go SCUBA diving, Snorkeling? And have you ever flown an airplane? Spend time with your son each night (especially if he is new to Scouting). Read the book with him. Quiz him on a skill, or challenge him to a knot tying contest. Ask him how he sees himself living up to the Scout Law. Don't let Scouting be "1 hour a week" each Wednesday night, but a regular and routine part of every day. Once the future meetings/camping trips are planned, the SPL and Scoutmaster present the PLC's plans to the Troop Committee for review. The agenda is checked for issues such as necessary fund raising, unique equipment/skills, camp ground reservations, and is given an over-all inspection to confirm that trips are aligned with the purpose of the Scouting Program. If the plans are approved, the SPL goes forward with leading the weekly meetings or delegating others who will lead all/part of the meeting. The model is "boys leading boys" unless the skill instruction needed is currently beyond the skill set of the Scouts or relates to merit badge requirements, then adults will render assistance. If Scouting is "boy led", why have adult leaders? A Boy Scout troop is "boy run", and the functioning boss is one of the Boy Scouts who serves as the Senior Patrol Leader (SPL). He's elected to that position by all the Scouts in the troop and typically serves for a 6 month term (he is allowed to run for re-election). However, just because a patch is sewn on your sleeve designating you as the "leader", it doesn't mean that you actually know HOW to lead. That's where the adults come in. The Scoutmaster's job is to teach the boys how to lead their own unit. That seems to be more of a "journey" than a "destination" because in 6 months, a new election is held. The next Scout to be elected as the SPL may have strong leadership skills, or may be be starting to develop them for the first time so getting to a "100% boy run" status is difficult. Sometimes we're able to be more "out of the way" than others, but our goal is to let the youth leaders "lead" and only step in when necessary, even if that means letting them make a few mistakes along the way. Where would I fit as an adult leader? Boys are Scouts. Adults are Scouters. As a Scouter, you can serve in 3 capacities in a local Scout unit. Other positions exist at the District level, but we're focused on the Troop on this FAQ. Scoutmaster (SM) / Assistant Scoutmaster (ASM)- these Scouters work closest with the Scouts and ensure the program is running as it should. Their primary focus is to support the Senior Patrol Leader and Assistant Senior Patrol Leader by guiding them in leadership of the Troop while delivering the "Program". Merit Badge Councilor (MBC) - a MBC works with Scouts on an individual basis to work on the specific badges (from 1 to 140) that the MBC is registered to teach. A MBC works with the Scouts "on demand" when he is contacted by the Scouts requesting time to complete badge work. Committee Member - the role of the committee is to provide the Scoutmaster with the support needed to deliver the program that the Patrol Leader Council chooses as the "Program". The Committee provides the logistical support (funds/fund raisers, camping equipment, Treasury, camp site reservations, recording advancement, Boards of Review, registration/recharter, etc) needed to support the Troop. The Committee also has the responsibility to ensure that the Scoutmaster and the PLC are delivering a program that is aligned with the BSA Charter. If not, the Committee can recommend replacements. The Committee Chair would report to the Charter Organization which has the authority to hire/fire adult leaders. The Committee is headed by a Committee Chairman who functions as the "great organizer" to make sure that sub-committees are on-task in their roles within the troop, such as ensuring a Treasurer delivers a Treasurer's report... Outdoor Chair is making campsite reservations.... Quartermaster is maintaining the camping equipment.... webmaster(s) are updating the website... etc. To avoid "power plays" the Committee Chair is more of an "organizer" than a "position of authority". Committee decisions are made via parliamentary procedure and voting. The Committee Chair does not get to cast a vote unless votes are tied. 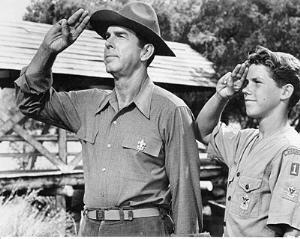 By design, the Scoutmaster and assistants are NOT members of the Committee, and therefore cannot vote on committee decisions. There are a myriad of positions needed to staff a strong committee, so most adults in a troop are registered as Committee Members. As a Committee Member, you should be willing to attend the monthly Committee Meeting (4th or 5th Mon of each month, 7PM) and get involved in as much/little upcoming activities as you wish. As a Merit Badge Councilor, you choose to provide counseling from 1 to many of the available 130+ Merit Badges. YOU DO NOT need to be an "expert" to be a councilor, as the $4.59 handbooks will cover ALL that you need to know to learn/teach each particular badge. NOTE.. all leaders MUST complete a BSA Adult Application, which requires you to provide your Social Security Number. A background check will be done by the Greater St. Louis Area Council. WE (Troop) will NOT know of the particular details of anyone's record, but will simply be told "yes/no" regarding your eligibility. If you do not provide your SSN, you will not be accepted as a leader. This is National BSA policy, not an ad hoc policy of Troop 585. The term "Eagle Factory" is as popular in the Scouting community as the unofficial phrase, "Class B uniform". Sadly, "Eagle Farms" are a recognized problem throughout the BSA and it deals with the fundamental question of, "What does it REALLY mean to be an Eagle?" A Google search on the term will result in a WHOPPING 2,580,000 results (trust me, I just did it). 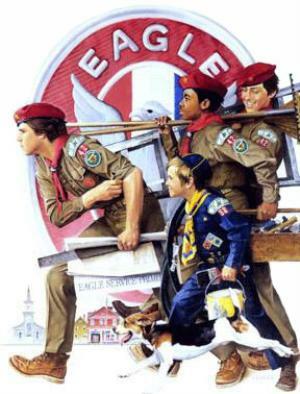 One of the best summaries of the "problem" was answered by a guy who goes by the name "Bob White" (also a "critter" in the BSA's Woodbadge Training program): "Eagle factory is a term used to describe troops who put the achievement of rank over the personal character growth of the individual scout. " Bob White gets it... this is a CHARACTER program, first and foremost. While many advertise the statistic that "Only 2 out of 100 boys make it to Eagle", the truth of the matter isn't really HOW MANY boys in a troop make it to Eagle, but HOW did they get there?!? If you read through this site, you know we are dedicated to having scouts EARN their Eagle (and ANY other advancement or badge), so this FAQ is meant to be a bit of fun. If it happens to sound like a Troop you know... well... what can we say? Let's play, "You might be an Eagle Factory if..."
If your troop meeting is based on merit badge classes, you might be an Eagle factory. 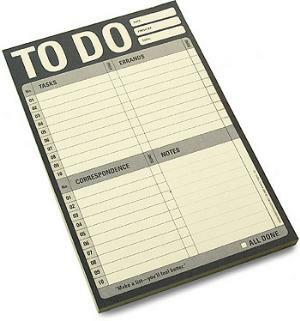 If your Scoutmaster, not the PLC, plans the yearly or weekly agenda, you might be an Eagle factory. If the majority of merit badge sashes in the troop look the same, you might be an Eagle factory. If scouts are told which merit badge they "must" learn next, you might be an Eagle factory. If everyone moves to the next rank at the same time, you might be an Eagle factory. If you define the success of your program by the number of Eagle Scouts you produce, you might be an Eagle factory. If you think advancement is the most important part of Scouting, you might be an Eagle factory. If you give blue cards to scouts before they ask for them, you might be an Eagle factory. If you tell scouts how many, or which, merit badges they must earn at summer camp, you might be an Eagle factory. If your troop meetings look like "merit badge school", you might be an Eagle factory. If your leaders sign off on requirements you didn't really do you might be an Eagle factory. What is an "Eagle Project"? An "Eagle Project" is project that is ORGANIZED and MANAGED by a Life Scout who is working towards the Eagle rank. There are guidelines for Eagle Projects that will be described below, but in its most simple definition, it is a community service project where the Eagle Candidate shows of his LEADERSHIP ABILITY. It is not for the candidate to "do" the work, but to provide the organization and leadership so the work can get done. Does an Eagle Project need a certain number of "minimum hours"? No. There is no set minimum for a project, although most average more than 100 hours of combined service. However, the length of work must be long enough that there is AMPLE OPPORTUNITY for a scout to show/demonstrate actual "leadership". Does an Eagle Project have to be unique? Yes & No. An Eagle Project does NOT need to be "unique", but it should be unique FOR HIM. A scout who simply repeats a project he worked on with another scout is NOT "leading".... he's "repeating" some one else. Remember, PLANNING and THOUGHT are big parts of the project/process. Does an Eagle Project require "building" something? No. An Eagle Project can be a SERVICE, but it cannot be "routine service"... such as raking leaves at his church, spreading mulch, or cutting the lawn. An example of a non-routine service may be the planning/organizing/executing of a clothing drive or canned food drive. By PERSONAL PREFERENCE, many scouts like "building" something that they can come back to years later and say "That was my Eagle project!". 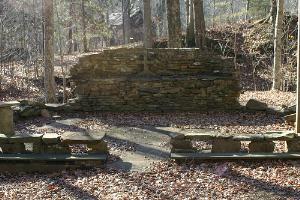 Does an Eagle Project require all the Scouts of the troop to work on it? No. There must be some involvement of the Troop (leaders) so that those who will be sitting on a candidate's Board of Review can say they saw leadership qualities demonstrated, but that does not mean all the labor has to come from Scouts. If the Candidate wants to call upon friends, family, or contract labor, that's up to him as the "foreman" to hire the right people to get the job done. However, it is "healthy" for all the scouts when workers include the troop members as it gives all the Scouts a feeling of participation and the motivation for their own Eagle endeavors. Does an Eagle Project have to cost a certain amount of money? No. If money is needed, it is up to the Candidate to raise it through donations, fund raiser, or it can be self-funded. The stipulation is that there can be NO donated money left over. Any leftover money must be returned to those who donated it. Does an Eagle Project have to benefit Scouting? It CAN'T. Once again, the BSA shows its value to the surrounding community. Eagle Projects are done for organizations OUTSIDE of The Boy Scouts of America. Can an Eagle Project be done on Government property? Yes. Please note that the nature of "government" is slow and full of many "approval processes". Doing any work on government land or for government agencies will require permits, approvals, board meetings, etc....that can take quite some time. Scouts should ask these questions in the early stages of his project. Government land projects are NOT a good idea for a boy who is facing the "timeout" of his 18th birthday as government delays may cause him to MISS his Eagle opportunity. Can an Eagle Project be done after his 18th birthday? No. There is a 60 day time gap after a boy's 18th birthday to file his application for Eagle and have his Board of Review, but ALL WORK (Project, Leadership, Merit Badges, Rank) has to be done prior to his 18th birthday unless he has ALREADY been granted a waiver for medical/developmental purposes. He's a really good kid, an A student, involved in sports, etc... Is there ANY way to get an extension on time? No. All work for the Eagle Rank must be completed before a boy's 18th birthday. There are no exceptions unless his has been previously classified as a "Special Needs" scout. Do adults help in the Eagle Project? Absolutely! Just because it's "his" project doesn't mean he's expected to magically have the knowledge of a structural engineer, electrician, or master carpenter. An Eagle Candidate may reach out and solicit assistance from the RIGHT RESOURCES in order to plan/execute his Project. Remember, his job is not to be the guy swinging the hammer or drawing the plans... but HIRING the right people and making sure work is done according to his plan. Is there a special way for Eagle Projects to be done? Yes. Please reference the BSA Eagle Project Workbook for a step-by-step guide (and approvals!) needed to complete an Eagle Project. WHAT IF a Scout didn't do exactly what he was supposed to? Maybe he allowed his dad to take over the Project, or he never invited the adult leaders to see him "in action"... you wouldn't "punish" the Scout by denying him Eagle, would you? Yes, and so would District, and so would Council, and so would National... but we would not view it as a "punishment", but simply a situation where a Scout didn't do the REQUIRED work. 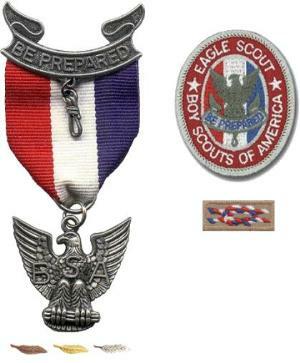 If there was a mistake or some type of misunderstanding, that's something to be addressed on a case-by-case basis, but if a scout makes the conscious decision to not complete all of the requirements, then the troop leaders are left with no choice but to not award ANY rank advancements, including Eagle. Upon reaching the 1st Class rank, Scouts start to learn their place in the community, and more importantly, the citizenship lesson that despite being a young age, scouts have the POWER to IMPACT the community. Community service hours are required for advancement to Star, Life, and Eagle ranks. Requirements are to be done as stated in the Handbook; specifically done "while" holding the appropriate rank and "approved by the Scoutmaster". This clearly implies that approval should be sought before conducting the work. A scout should not expect to get "service hours" credit for work done without getting the Scoutmaster's approval. Also, for Star Scouts working towards Life, a scout should be reaching out on his own to find service projects, just as a Life Scout will work to find an acceptable Eagle Project. Why don't your patrols have boys of mixed ages? Many troops mix boys of different ages in their patrols. Usually, the justification is "so older boys can teach the younger boys". If that model is working for them, great, but that RARELY works and puts them in the very small minority. Even in the Cub Scouting Program, the BSA recognizes the developmental differences in boys of different ages and clarifies the NEED to keep young boys separate from older boys. That model continues in Boy Scouting and Venture Scouting. Most units who use a "mixed age" model experience a lot of bullying and/or intimidation; usually manifesting itself in low-key intimidation; older boys making all the decisions and younger kids quietly following along or being "out voted" or "shouted down" on the decisions. By sheer size/age difference, younger/newer boys end up being intimidated and just "go with the flow", not really getting benefit of the "self-guided" model the BSA has laid out. However, the overt mission of this Troop's leadership is to run this unit "by the book". The "book" we refer to is the National BSA Program, and it clearly states that "Patrols are made of boys of SIMILAR AGE, ABILITY, and INTERESTS." It is also HIGHLY DESIRED that Patrols be "permanent groups" so that they can become close friends and EVOLVE (through trials and tribulations) into well functioning units (mastering the skills of communication, teamwork, respect, problem resolution, etc). Sometimes we have to do a "reshuffle" based on development or changing attendance, but these changes are only done WHEN NEEDED. To further justify separating Scouts by ages, keep in mind that Patrols are strongly encouraged to do "patrol activities" (activities away from the rest of the Troop). This is literally impossible to do when a group of 16/17 year old Scouts want to go on a canoe trip or rock climbing and other members in their patrol are FORCED to be left behind because they are 11-13 years old and not skilled, mature, or strong enough to join in on the activity. Some activities also have age restrictions from the BSA, showing again, why a "mixed age" model goes against the Methods of Scouting. The Venturing model (once again) REINFORCES the BSA's "group by age and ability" concept by grouping the older boys who seek (and are physically able) to do High Adventure Scouting from those incapable physically or intellectually. There are MANY NUANCES interwoven into this 100 year old program, and none of them exist by accident. When Troops try to "modify" their Program and change/eliminate/ignore certain aspects of how a unit is supposed to operate, they [knowingly or not] deprive their Scouts of the FULL EXPERIENCE designed into being a Boy Scout. Scouts arrive at BCGF in full Field Uniform on a Friday evening, typically at 6 PM so we can depart by 6:30 PM. Once all gear is packed and a final check for permission slips and medications is complete, we depart for our camping destination. Upon arrival, the first order of business is to choose camp sites and set up tents. Once all tents are up, kitchen/cook areas are set up and then all personal gear is stowed. Time permitting, the boys will have "Cracker Barrel" (snack) and the remainder of the night until 11 PM is "free time" for Scouts to unwind and burn off some energy. Saturday mornings begin with the designated cooks waking up 1/2 hour before reveille and starting to prepare breakfast. At reveille, the rest of the camp will rise. Patrols are encouraged to eat together. Each patrol will have their own dining area, or in the case of a shared pavilion, designated tables. Once KP is complete, there is a flag ceremony and then the Program portion of the day begins with a break for lunch around noon. Program (Scout-skill related activity, and/or the purpose of the camping trip) continues until 5 PM. After dinner, the flag is lowered ceremoniously and there is free time until the Council Fire (at dark). At the Council Fire, boys often perform skits, tell jokes, and enjoy Cracker Barrel. We generally sleep a little longer on Sunday. Again, cooks are called to prepare breakfast 1/2 hour before their patrols. Cold breakfasts are encouraged, due to the faster KP time. After KP, all scouts are to gather personal gear and then start packing kitchen/dining areas. The tents are the last to be packed, as it is usually necessary to wait until the tents and ground cloths have dried completely before stowing them. A tent put away wet will grow mildew and be ruined in a VERY short time. While waiting for tents to dry, the Troop is lead in a "Scouts' Own" prayer service by the Chaplain's Aid; a boy appointed by the SPL to lead religious events. Once all gear can be packed, camp is struck and we depart for home targeting a return to BCGF by 11 AM. How is the weekly/monthly agenda determined? During the monthly Patrol Leader Council (PLC) meetings, each patrol leader participates in the discussion to plan upcoming camping trips and/or destinations. His choices should be a reflection of the suggestions, ideas, and desires of his fellow patrol members whom he was elected to represent. With the Scoutmaster's guidance, the PLC will debate among themselves which activity(s) are to be part of the Troop's upcoming agenda. 1. MAKE IT FUN ! 2. MAKE IT EXCITING ! 5. Once the monthly destination is planned, start planning the weekly meetings that prepare for each camping trip. NOTE: It is not required that the entire troop do the SAME activity at camp! We fully support the concept of "parallel program" where different groups of Scouts may be engaged in different activities. Examples would be a "bike hike" where the boys who don't know or don't prefer to bicycle can opt for hiking or another activity that can be done at the same camp facilities. The PLC is asked to plan no more than six months in advance. While a longer time horizon would help in planning trips and reserving camp sites, we feel it is important that newly-elected patrol leaders actually get to "lead" on 1 or more trips that they planned entirely. Patrol Leaders serve for terms of 6 months; hence the set time horizon. Once the monthly destinations/activities are chosen, the PLC then plans the 3 to 4 weekly troop meeting that lead up to each trip, incorporating in each the skill training necessary to make the trip successful. 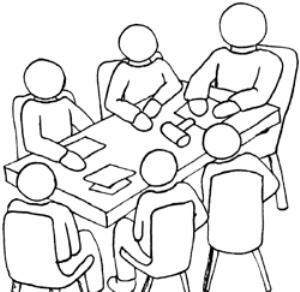 Planning should be very detailed including who will be the skill instructors and how much time of each meeting will be for each part of the nightly agenda. Troop meetings are for "learning", the camping trip is for "doing". This format ensures that EVERY Scout has exposure and OPPORTUNITY to work on Merit Badge requirements. However, the monthly agenda may not be sufficient for Scouts to complete the entire MB requirements and the responsibility is shifted to THEM to engage the Scoutmaster for a blue card and be connected with a Merit Badge Councilor so they can get credit for the work they've done and find out what they need to do to complete the badge on their own. What is a "Patrol Outing"? While there is a planned agenda for the Troop as a whole, individual Patrols are encouraged to participate in their own activities aside from the weekly meeting. For example, if a Patrol wants to hike or visit a zoo, they need not wait until the activity can be scheduled and incorporated into the Troop's annual or semi-annual plan. Patrol members may plan & execute trips on their own. In this age of Facebook and Twitter, nothing stops a patrol from having spontaneous plans or outings to add to their fun/excitement as Scouts. The only stipulations would be that any outing done as a "Scout unit" must comply with the Guideline To Safe Scouting, and we'd ask that Patrols NOT plan trips that are REPLACEMENTS for the scheduled Troop activities, but are done in ADDITION to troop-wide events. Patrol Outings are a great way to build unity and teamwork in a patrol, and a great way to keep the program nimble and exciting. What are some of the things THIS troop has done? And there is so much MORE. We do not limit the level of "adventure" the boys want to have. Scouting is a BOY LED program. THE BOYS decide what we do, and strong, trained, committed adults help them achieve their goals. What is the Order or the Arrow? The Order of the Arrow (OA) is the Honor Society of Scouting. How / When do I wear the OA Sash? When worn, the OA sash or Merit Badge sash is worn over the right shoulder. The OA Sash is NOT an automatic addition to your Field Uniform (Class A). Your membership in the OA is shown by the pocket flap patch on your right hand pocket. Simply put, the OA sash is only worn at OA events or when you are rendering service directly on behalf of the OA. 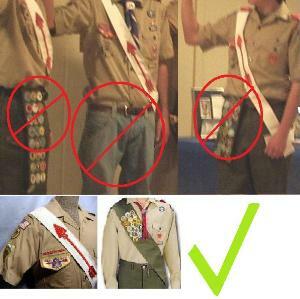 A scout never wears both sashes at the same time, nor should either of the sashes ever be worn hanging from the belt. Members of the Dance team wear their sash while at a Function. Remember, Scouts are expected to HONOR THE UNIFORM at all times, which includes wearing it correctly and keeping it clean and presentable. The Troop charges an annual "activity fee" that amounts to a little over $2 per week. First time members pay an additional $25 fee for the initial sign-up fees imposed by National, a copy of the Scout Handbook, and customized Troop hat and neckerchief. The Activity Fee - helps to pay for annual registration with the National Council, Boys Life Magazine subscription, liability insurance, numerous awards, badges, pins, camp ground fees, and more. Our fee is usually NOT enough for all the expenses we incur (see fund raising below). Monthly "camp fee" (food fee) - . Each patrol creates their own menu for the monthly camping trip and can decide to raise or lower this fee to be aligned with their menu choices. TYPICALLY, this is $15-$20 each month. In winter months, or for destinations that are far away, the monthly fee may include extra fees to cover camp ground expenses and help to reimburse gasoline for those transporting Scouts/gear. Summer Camp Fee - Week-long Summer Camp is a GREAT experience, and we encourage Scouts to attend every year. The average fee is $330. Please start saving for this NOW so that Camp is not a "financial burden" when payment is due (usually by May 1 of each year). Fund Raising - held as needed to supplement the cost of running the Troop. Covers new/replacement equipment (tents, stoves, cook gear, propane tanks, etc), or to cover the cost of more elaborate camping destinations. A portion of fund raising is usually designated for Scout Accounts to inspire strong participation. Scouting is NOT just playtime, or "Billy's weekend fun" away from his kid sister. Scouting is a carefully crafted character-development program where no aspect of this program exists by accident. Each boy is a member of a PATROL, and as such, is part of a smaller group (as compared to the whole Troop of boys) so that he is given AMPLE opportunity to play an active and valuable "hands on" role in the patrol's success. A Scout who shows up only for the "fun trips" or shows up sporadically to the weekly meetings DEPRIVES himself of the chance to make key decisions within his patrol; choose trip ideas and destinations, make menu selections, divvy out workloads, and build close friendships. Every meeting includes a period of valuable skill instruction and fun inter-patrol competitions that relate to the upcoming camping trip. If a boys misses a meeting, he will find himself less prepared for the upcoming weekend in the outdoors. The troop meetings are where we "learn", but the camping trip is where we reinforce the skills by putting them into practical use. Scouts should make every effort to attend meetings on a regular basis. Those who don't are missing out on the full experience of their limited Scouting years, and are causing their fellow patrol members to do the same. Patrols with members who do not attend regularly DO perform less efficiently than other patrols where their members attend each week. The differences are noticeable and sometimes astounding when it comes to teamwork, food preparation, advancement, etc. Scouts who hold LEADERSHIP POSITIONS are expected to show up at every meeting and camping trips as the leadership positions are "working" positions. Scouts need to provide leadership service to their patrols and the troop as a whole in order to be credited for their time in leadership positions (often needed for rank advancement). Summer camp is a week long experience in "Scout life", and a LOT of fun! It's held at Council-run scout camps like Famous Eagle, Gamble, Sakima, Swift Base or other BSA-owned properties. It is staffed with some adult leaders, but the program areas (merit badge classes, and other skill areas) are run by other (older & experienced) Boy Scouts who spend the entire summer living at camp as councilors. Troops from all over come to camp, and each troop stays in their own camp site. We sleep and eat together, but beyond than that we are joining other scouts in merit badge classes, 1st Year program, or COPE or High Adventure. You can think of Summer Camp as a week at "Scout College" where boys sign up for the classes that interest them, allowing the camping experience to be a personally satisfying experience. Summer camp has up to 4 basic programs, "1st year", "Open Program", "COPE" (Challenging Outdoor Personal Experience), and High Adventure. The "1st Year Program" is a dedicated program for boys who are typically new to Boy Scouts. The agenda is focused on the outdoor and basic skills that relate to the first 3 ranks of Scouting. Although they are focused on basic Scout skills, 1st Year Program attendees usually get the chance to earn 1 or 2 merit badges, get swim lessons or play in the pool during free swim, and after dinner, try out ALL of the program areas around camp during "open time", or join in with camp-wide games organized by the Camp. "Open Program" is like going to college for a week. Scouts typically choose to attend classes for up to 5 merit badges. It's a great way to get a LOT of advancement towards Eagle! After dinner, the program areas throughout camp are opened to everyone so boys can sample every part of camp, even if they aren't working on specific merit badges. There's also plenty of time for "free swim" in the pool, or time to join in with camp-wide games organized by the Camp councilors. "COPE" Challenging Outdoor Personal Experience - What a great way for older boys (13 and up) to challenge themselves physically as they engage in team building, trust building, and physically challenging activities and obstacles like the climbing wall, zip lines, overhead wire course, or the rappelling wall. While generally open to boys as young as 13 years of age, the course does require a moderate amount of upper-body strength. 13 year old attendees usually require the approval of the Scoutmaster, as the "ideal" age for COPE is 14 and above. If you're ready to challenge yourself and have a really great experience in personal growth and confidence, COPE is for you! A "High Adventure" program may or may not be offered at every BSA camp. Like COPE, high adventure programs are designed for the "experienced" Scouts (13/14 years or older) who feel like they've "done everything" offered by camp and are ready for something "new". Some high adventure programs include SCUBA, canoe trips, or other exciting excursions that take you away from the rest of the campers. Check out the website for the summer camp we are attending in the coming year to see if there is a High Adventure program. At summer camp, Scouts will be boarded in 8'x8' "wall tents" (large canvass tents with 2 cots, usually on pallets to keep them off of the ground). Per BSA regulations, "long term camping" requires a set amount of "living space" per scout; hence the use of the BSA camp-supplied wall tents. Despite their open exposure to the elements, the tents do a great job keeping out the elements and protecting camping gear from getting wet. During the day, all Scouts from Troop 585 will wear matching Class B tee shirts. It helps us look "uniform" and ensures the boys are in clean clothes (at least at the start of each day!) All meals are served in the Camp Dining Hall. Note that ALL camp attendees (adult and youth) MUST be in full Field (Class A) uniform for admittance into the dining hall for dinner. After dinner, class B or plain clothes are allowed again. During the day, scouts spend the day in "Program" areas learning the scout skills they selected before coming to camp. However, there is plenty of "free time" for Scouts to relax, sample other program areas around camp, visit the shooting ranges, fishing ponds, or swimming pool. There are often "camp-wide games" at each camp to make sure Scouts have plenty of FUN and entertaining activities for their entire time at camp. There are usually opening and closing Council Fires and other ceremonies throughout the week, including OA "tap outs" and early morning "Polar Bear Plunges" for a brisk early morning dips in the pool! What preparation is needed for Summer Camp? There is much we do to prepare for summer camp; fund raising, health forms, acclimation, Program selection & prerequisite work, and Swimming. 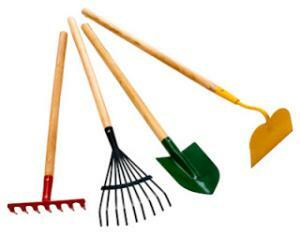 Fund Raising - Each year we conduct a Mulch Sale fund raiser. While it is a lot of work, it is highly profitable and Scouts have the earning potential to fund their entire year of Scouting if they have strong participation in sales and delivery. Summer Camp usually costs $340 each year, so scouting families should plan accordingly so that the annual camp fee is not a "surprise" or unattainable expense. Health Forms - Every year, we are required by the BSA to bring current/valid health forms for EVERY ATTENDEE (adult and youth) to camp. EVERYONE must submit the BSA health forms in order to remain on BSA property. It is best if the BSA health form is completed by the family doctor at the time of the annual "school physicals". If a current form is not already on file, then families should engage their doctors to ensure the forms are complete and in the hands of the person coordinating troop registration ON TIME for a smooth registration. PLEASE do not expect "special exceptions" when you are not handing paperwork in or time. Registering/Administrating camp attendance is a huge undertaking, and we need/expect your full cooperation to help facilitate a smooth registration experience. Acclimation - Every year (typically in April) the Troop conducts a weekend camping trip SPECIFICALLY for the benefit of our newest scouts (those bridging in from WEBELOS). The goal is to get younger Scouts used to attending over-night camp without their parents. This will give them (and moms!) a taste for being away from home, especially since Summer Camp is 6 nights from home. New parents generally like to "tag along" with their "former cub scouts" on the first couple of camping trips, but this defeats the entire purpose of getting them used to being away from home. Try to be supportive of your sons camping without you. Program Selection & Pre-req work - Scouts should choose as early as possible which program area is right for them at camp; 1st Year, Merit Badges, COPE, or High Adventure. 1st Year and Merit Badge participants should select their merit badges early so they can start getting familiar with any prerequisite work that needs to be done before coming to camp. 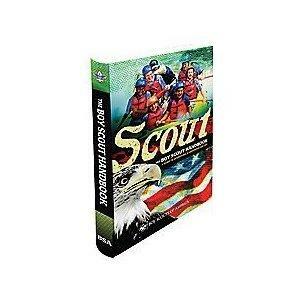 Scouts should also take the time to purchase the respective Merit Badge Workbook from the Scout Shop and start reviewing the material (especially for Eagle-required badges). These actions will ensure that Scouts come home with all badge work COMPLETE and will have the badges awarded as soon as possible. Otherwise, Scouts will have to find other merit badge councilors to help them complete the tasks that were not completed at/before Summer Camp. Swimming - Swimming is a big part of advancement and other activities in Scouting. Scouts usually pursue the "Swimming Merit Badge" at a BSA camp due to the number of requirements to earn the Swimming MB and a daily chance to keep cool in the pool. If your son wishes to attempt the Swimming merit badge, he must be a STRONG swimmer. Please note that the BSA measures swimming capability by the ability to swim multiple 25 yard laps (no stopping allowed) in a strong, steady, and proficient stroke. If this does not describe the swimming capabilities of your son, please do NOT sign him up for the Swimming merit badge, as he will NOT pass and will only feel defeated when he does not complete the badge and is surrounded by boys who are much more proficient in swimming ability. Whether pursuing the Swimming merit badge or not, everyone attending Summer Camp will have AMPLE time to cool off and enjoy the swimming pool during "open swim" and/or "instructional swim" times. Anyone needing basic swim lessons will have them provided at camp. LIFEGUARD training is also available. 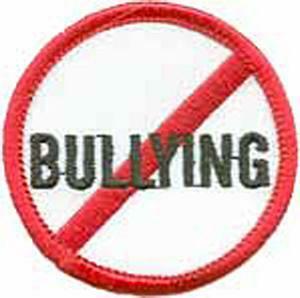 We follow a ZERO TOLERANCE policy for bullying or unruly behavior. By any and all measure, Scouting is (and should be) considered a "safe zone" where boys can come and GROW in a positive and supportive environment. Upon joining Scouts, boys are placed into a smaller unit called a Patrol - we currently have 6 patrols in our Troop. Per BSA guidelines, a patrol is "a group of boys (no more than 10) of similar age, interests, and abilities." Scouting is a PRIVATE organization. Should any boy's behavior become intolerable, it is well within our right to "un-invite" him from being a Scout in this Troop. Absolutely not. "Hazing" or similar types of degrading practical jokes are simply not tolerated. While there is some truth to "boys will be boys" and there is some level of FRIENDLY "joshing around" that boys naturally do, the troop is VERY tuned into the fact that these types of jokes/behavior can easily go from goodhearted fun to being "insulting" or "degrading" in nature. 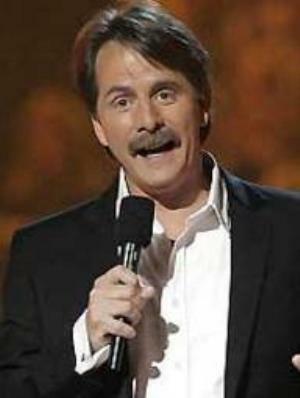 Practical jokes and ANY type of physical contact among the boys or their personal property are TIGHTLY regulated and STRONGLY discouraged. Guys can kid around with each other without the need to resort to hurting their feelings. We look for this type of behavior and act accordingly when we become aware that instances have happened. "Boys will be boys" is NOT justification for bad behavior. 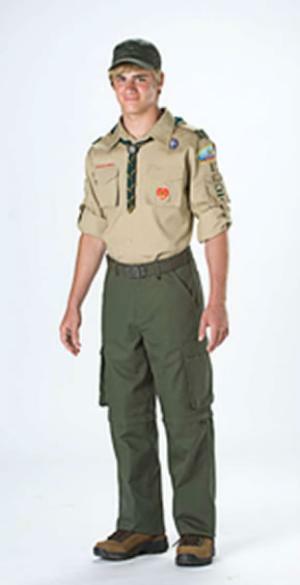 * Technically, hats and neckerchiefs (and how they are worn) are optional in the BSA Uniform Guide, but if the wearing of either is adopted by a troop, they are then considered official components of the uniform. We wear both. The hat is the "baseball cap" variety imprinted with our troop number, and the neckerchief bearing our logo is to be worn UNDER the collar with the top button of the shirt unbuttoned. Scouting does not promote any 1 denomination above another and works with organized religions to offer awards (officially known as the Religious Emblem Program) to any boys choosing to farther explore their religious faith, whatever that faith may be. Scouting proves it is SUPPORTIVE of diversity and religious differences. 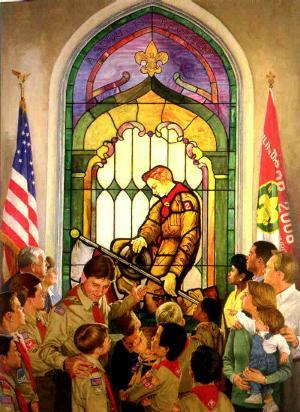 As a Private organization, it is the right of the BSA to set a code or ethics and morals for its members to follow. Having a belief in God, is one of those criteria. Those professing NO belief in God may find they would be better served in a different youth program than the BSA. As we believe that "being reverent" is such a critical part of the Scouting program, we openly pray during meals, at meetings, and during non-denominational "Scouts' Own" services which are held while we are away at camp. The troop maintains a youth member in the leadership position of Chaplain's Aid who will lead us in prayer and various services. What is a "Scouts Own Service"? Although they can be held at any time, we choose to hold a "Scouts Own Service" when we are overnight camping into a Sunday morning. 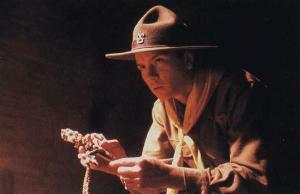 A "Scouts Own" service is a prayer service conducted by the Chaplain's Aid. By design they are non-denominational, but being that our troop is 100% Christian, we hold Christian-centric services. We encourage the Chaplain Aid to meet the responsibilities of his position by creating HIS OWN prayer services with readings, stories, and songs of HIS CHOOSING so that he can impart his spiritual message on his peers. [Many service ideas are available on the internet] If we are camping at a BSA Camp, there will tend to be a camp Chapel nearby which we will use. If a chapel is available, we march to it in total silence to help the boys enter a reverent state of mind/spirit and reinforce the power of spiritual faith.